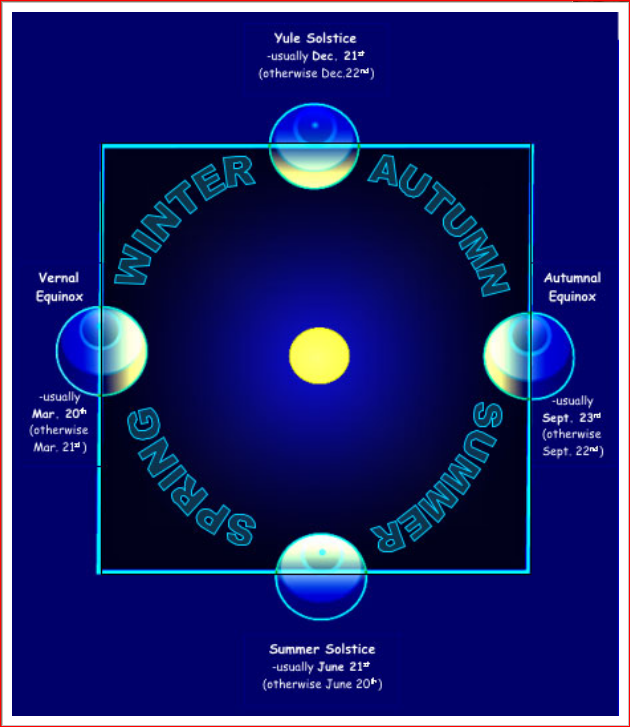 The season of Winter, in the Northern Hemisphere of Earth, begins at the moment of the Winter / December Solstice, Thursday, 2017 December 21 at 11:28 a.m. Eastern Standard Time (EST) / 16:28 Coordinated Universal Time (UTC)---the moment of the posting of this blog-post. This moment also marks the astronomical beginning of the Summer season in the Southern Hemisphere. Almost 24 hours later, Friday morning will mark the peak time for the annual Ursid Meteor Shower; of course dark skies are needed to actually see meteors. This meteor shower peaks Friday, 2017 December 22 at 10:00 a.m. EST / 15:00 UTC. Nano-Space Probes to Star Alpha Centauri by Laser-Sail ? the Alpha Centauri star system, possibly as early as mid-century. Last month, SpaceWatchtower talked about Lasers in Space ? (posted November 13; reference Internet link near the end of this blog-post). Today, SpaceWatchtower looks at a very ambitious proposal to use Lasers for space propulsion, for very small space probes to reach nearby star systems. Breakthrough Watch – Astronomical program to produce new technologies to help determine if life exists on Earth-like planets in nearby solar systems. Breakthrough Listen – Search for radio and optical signals from extra-terrestrial civilizations. Breakthrough Message – Competition to create a message about Earth, life, and humanity that could be transmitted, received, and understood by an extra-terrestrial civilization. This project includes a public debate regarding the ethics of sending messages beyond the Earth. Breakthrough Initiatives was launched “in 2015 by Yuri and Julia Milner to explore the Universe, seek scientific evidence of life beyond Earth, and encourage public debate from a planetary perspective,” according to the Breakthrough Initiatives Internet web-site. A Russian entrepreneur, venture capitalist, and physicist, Yuri Milner has invested several hundred million dollars into these projects. Pete Worden, former University of Arizona Astronomy Professor, NASA Ames Research Center Director, and Brig. General of the United State Air Force, was introduced as the new Breakthrough Prize Foundation Chairman (and Executive Director of Breakthrough Initiatives and Breakthrough Starshot) at a news conference held at the Royal Society in London when Breakthrough Initiatives was announced on 2015 July 20 (46th anniversary of the U.S. Apollo 11 mission, which included the first persons to land and walk on the Moon). Almost a year later on 2016 April 12 (the 55th anniversary of the Russian Vostock 1 mission, which included the first person to enter Outer Space and orbit the Earth, and the 35th anniversary of the first launch of the U.S. Space Shuttle), the Breakthrough Starshot project was announced at an event in New York City. Breakthrough Starshot is a research and engineering project which envisions sending nano-space probes, called “StarChips,” to nearby star systems. In addition to a much closer look at nearby stars, a major objective of such a mission would be to fly past, and possibly photograph, any Earth-like worlds that may exist in the star system. Each StarChip would be a very small, centimeter-sized vehicle weighing only a few grams. From a “mother-ship” in Earth orbit, 1000 of these StarChips would be launched toward the target star system. Each StarChip would include 4 sub-gram-scale digital cameras, 4 sub-gram-scale central processing units, 4 sub-gram-scale photonic Laser thrusters, 150-milligram atomic battery (powered by plutonium-238 or americium-240), protective coating (to protect from dust collisions and atomic particle erosion), and a Laser light-sail (no larger than 13 x 13 feet / 4 x 4 meters). A square-kilometer phased-array of ground-based, 10-kilowatt Lasers would then focus Laser-light on each StarChip's Laser-sail. It is estimated that the Lasers would accelerate each StarChip to the target speed within ten minutes. A Laser-sail on each StarChip may be circular, with a diameter of 5 meters. Propulsion of these spacecraft by Laser-sail will not be easy or inexpensive. Hence, the necessity to have all on-board equipment miniaturized and engineered to survive the rigors of high-speed interstellar travel. A Laser with a gigawatt of power (approximating the output of a large nuclear power plant) would be necessary to power 1000 such space probes during a single deployment. And, atmospheric turbulence would add difficulty to focusing Laser-light onto the Laser-sails. In the literature I read regarding this project, there was no mention of whether a Laser in Earth orbit could solve the atmospheric turbulence problem. Of course, some national governments may be concerned with having such a strong Laser in Earth orbit, assuming the technical problems with such an installation could be overcome. The Alpha Centauri trinary star system, being the closest star system to Earth, is the logical first target of such spacecraft. The 1960s science-fiction television series, “Lost in Space,” portrayed a crewed U.S. space mission launched in 1997 with the goal of being the first such Earth mission to reach a habitable planet outside of our Solar System, one orbiting Alpha Centauri. Alpha Centauri (which includes the stars Alpha Centauri A & B) is 4.37 light-years from Earth. The third star in the system which is even closer to Earth, Proxima Centauri, is 4.25 light-years from Earth. Proxima Centauri is of particular interest to scientists. In August of 2016, the European Southern Observatory announced the discovery of an exo-planet a little larger than Earth and within the habitable zone of Proxima Centauri. Known as Proxima Centauri b, it is the closest known exo-planet to Earth. At the beginning of this year, Breakthrough Initiatives entered into an agreement with the European Southern Observatory to provide funding for upgrades to the Observatory's Very Large Telescope (VLT) in Chile. It is hoped that such upgrades will help find additional planets in the Alpha Centauri star system. Due to its location in the sky, which prevents most of Earth's Northern Hemisphere viewers from directly seeing it, Alpha Centauri can best be studied by observatories in the Southern Hemisphere. The StarChip nano-spacecraft would be propelled by Lasers toward the Alpha Centauri star system at speeds of between 15 per-cent and 20 per-cent of the Speed of Light (Speed of Light: 186,282 statute miles per second / 299,792 kilometers per second). At that speed, each StarChip would take between 20 and 30 years to reach Alpha Centauri. While in the Alpha Centauri star system, data would be transmitted back to Earth using a compact Laser communication system. The Laser-sail would be used as the transmitting antenna and the Earth-based Laser propulsion array would be the receiver. At 4.37 light-years away, then Laser communication would take 4.37 years to reach Earth. Sirius A (brightest star in the night sky), 8.58 light-years from Earth; StarChips travel time: 68.90 years. Procyon A, 11.44 light-years from Earth; StarChips travel time: 154.06 years. Vega, 25.02 light-years from Earth; StarChips travel time: 167.39 years. Altair, 16.69 light-years from Earth; StarChips travel time: 176.67 years. Exploration in our Solar System. Detection of asteroids that cross Earth's orbit, that risk hitting the Earth sometime in the future. Launch of a “Genesis” probe (proposed by German physicist Claudius Gros) to establish a biosphere of unicellular microbes on otherwise only transiently habitable exo-planets (such a Genesis probe would only travel at 0.3 per-cent of the Speed of Light, so the probe could be decelerated when it reached the target exo-planet by way of a magnetic sail). Yuri Milner has provided Breakthrough Starshot an initial funding of $100 million for research into how to engineer such an ambitious proposal. He currently estimates that the entire Breakthrough Starshot project may cost between $5 and $10 billion. He believes the first StarChips could launch as early as the year 2036. Special Note: Last month, SpaceWatchtower talked about Lasers in Space ? (posted November 13; reference Internet link near the end of this blog-post), which included information regarding the-then just-launched NanoRacks CubeSats satellites, which will help set-up a Laser-based, high-speed data communication system in Outer Space. Andrea Boyd (International Space Station Flight Operations Engineer at the European Astronaut Centre in Cologne, Germany) commented, on the November 13 post, saying that the International Space Station already has two operating Laser systems: optical [Optical Payload for Lasercomm Science (OPALS)] and LIDAR [Cloud-Aerosol Transport System (CATS)] (reference Internet links to more information on these two Laser systems near the end of this blog-post). "Lasers in Space ?" 2017 November 13. "Laser-Propelled Nano-Space Probe to Reach Alpha Centauri in 20 Years?" some people refer to this as a so-called "Super-Moon." Consequently, large tides along ocean coast-lines are predicted due to a Lunar Perigee the next day, at 4:00 a.m. EST / 9:00 UTC. 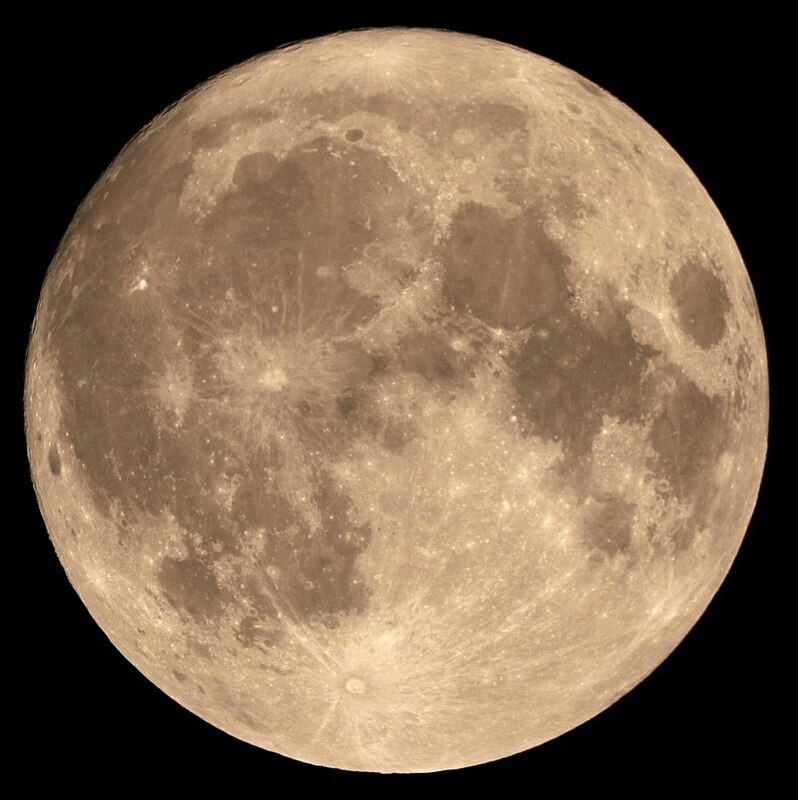 This particular photograph shows the "Super-Moon" of 2016 November 14. "Astronomical Calendar: 2017 November." 2017 Nov. 1.